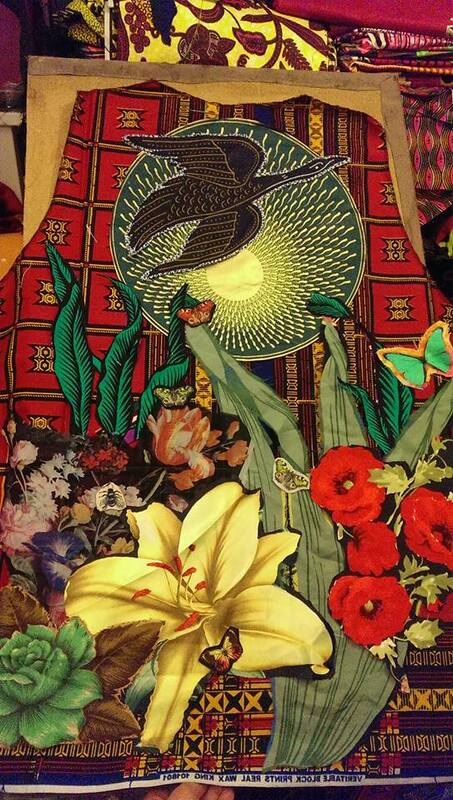 Artist, Feminist, former children’s entertainer and maker of wearable art , Diane Goldie is exhibiting her rather unique world at the Vaults Gallery, Waterloo, SE London from Tuesday 3rd of November. The show runs until Sunday 7th. Her world is one of “colour, politics , vibrancy , quirkiness and intrigue”, there are strange crochet anthropomorphic creatures, painted goddess like soft sculptures, life paintings, drawings, puppets , highly charged political feminist paintings, and most of all wearable art, ranging from jewelled textile neck pieces to flamboyant kimonos. And because Diane believes in the cooperative, she will be including work by her friends (her tribe) including that of renowned outsider artist and Fabulous Fashionista Sue Kreitzman, Stuckist painter Ella Guru, Latex performer extraordinaire and muse, Marnie Scarlet, portrait pop painter John Lee Bird, performance artist Amy Kingsmill, performance costume designer/artist Anne Sophie Cochevelou and many more. 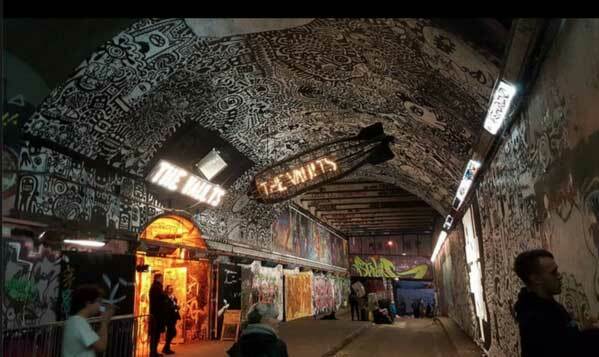 The opening night will feature an anti fashion catwalk in the Leake Street tunnels just outside at 8pm where everyone is encouraged to dress as if no one is watching. THE WORLD OF DIANE GOLDIE featuring Diane Goldie and friends opens on Tuesday November 3rd (6pm until 9pm) at The Vaults, Leake Street, London, SE1 7NN with an “Anti Fashion” catwalk at 8pm in the tunnel on Leake Street. The show then runs until November 7th (open 11am until 7pm), entry is free. Expect more coverage from the opening here next week.